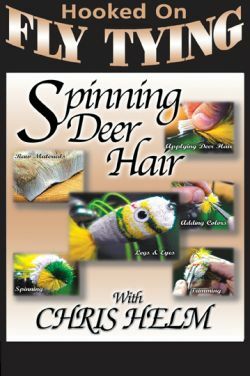 Subjects: tools and hooks crucial to success in tying with deer hair, adding colors, installing fine little gills, stacking & compacting deer hair bodies, installing eyes, installing rubber legs, trimming - how to get smooth symmetrically shaped bodies.. 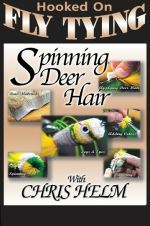 Deer Hair Techniques by expert fly tyer, Chris Helm. 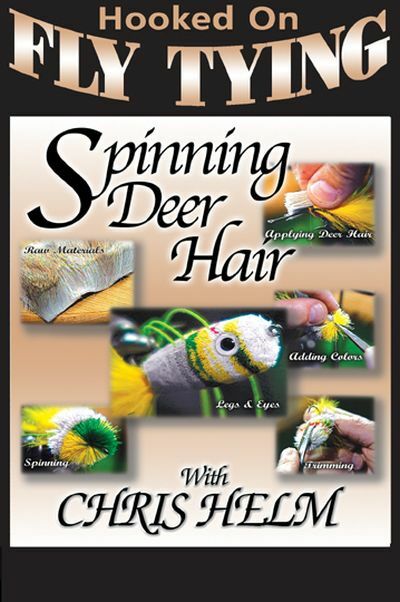 Pelt Parts... Tying flies with deer hair is becoming extremely popular and to do so successfully you first need to know what hair comes from which part of the body and for which flies it is best suited. Tools... Learn which tools and hooks are crucial to success in tying with deer hair. Adding Colors... To one side, then to another, installing fine little gills... All with deer hair. Stacking & Compacting... So your deer hair bodies are dense and look durable and solid. Installing Eyes... So they stay. Rubber Legs... Who hasn't suffered through the agony of rubber legs on flies? Chris shows you two methods, both extremely effective. Trimming... Learn how to get those smooth symmetrically shaped bodies, every time.